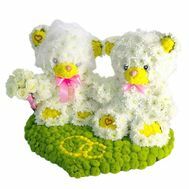 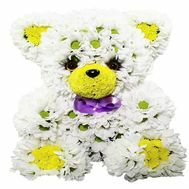 Bears from flowers "I love you"
A toy made of flowers will become the brightest and unforgettable gift in the life of everyone. 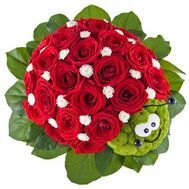 Flowers are always a great idea, but what if you do not want to give ordinary bouquets, but to please a loved one - very much? 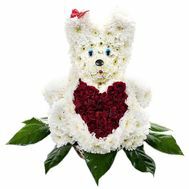 At such moments our florists will come to our aid, which for you were the amazing beasts of flowers! 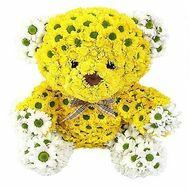 A teddy bear of flowers is guaranteed to be the best you've ever given, even if you choose a gift for your own elderly grandmother. 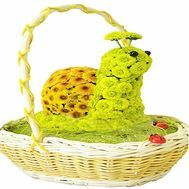 In this case, we can offer to add a gift in the form of sweets, fruits and other pleasant little things that will make the impression you need at the holiday. 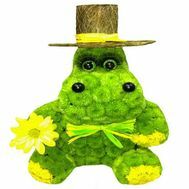 In our store a large selection of toys from flowers! 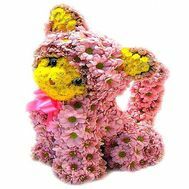 It is here that you can find a bear of chrysanthemums, a bright snail, a beautiful hippopotamus, a hedgehog of flowers and even the most beautiful compositions - a lovely cat of flowers, a dog and other compositions. 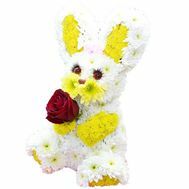 Our florists can make any shapes of flowers at your request, just specify the animal from which the toy will be made and it will be assembled in the best possible way! 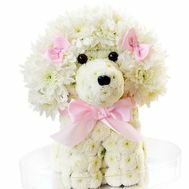 If you want to surprise the recipient with a cute and funny gift - then unusual toys from flowers will help you in this better than others. 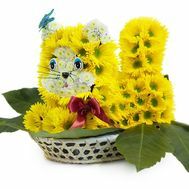 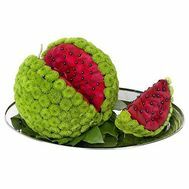 A flower toy is an original gift for a child's birthday, as well as a way to surprise your wife with an anniversary. 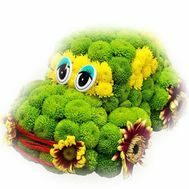 Be original! 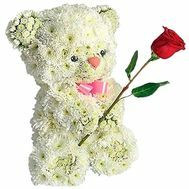 Choose non-standard options, such that you did not give before, because a bear of flowers is easy to surprise a loved one and settle on his lips a charming smile for weeks. 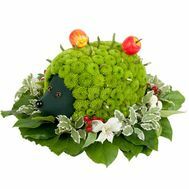 A very large electronic catalog of various compositions has been collected in our online store. 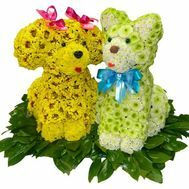 That's why already more than 20 000 Ukrainians got acquainted with them live, leaving their feedback and replenishing the album with the photos of the delivered deliveries. 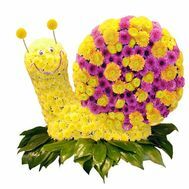 Also, we can almost always find pleasant and useful actions that will help you choose the best option for a democratic price. 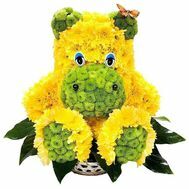 Get free shipping in large cities of Ukraine from our experienced delivery service! 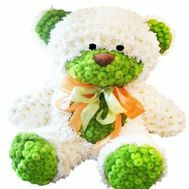 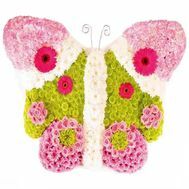 Buy a toy of flowers in our store - it's easy! 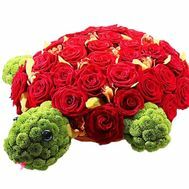 It is enough just to place an order on the site, and our couriers in a few hours will deliver a wonderful and amazing present to the right threshold!